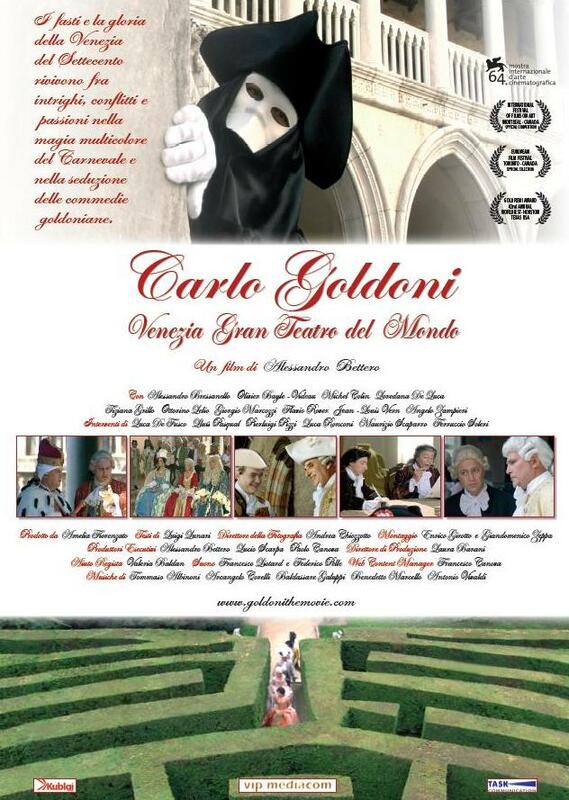 Sold out in Montreal to watch the film of Alexander Better "Carlo Goldoni - Venice Grand Theater of the World" at the 27th FIFA to Montreal, the International Festival of Films on Art. Hundreds of Canadians in line for a place to only three screenings scheduled at the Musée des Beaux Arts. Amazing reception of the public who has asked to see the movies on TV soon, as well as the cinema, confirming the quality of the film and the cultural wealth that the film has succeeded in expressing, promoting awareness of previously unknown aspects of life in the Venetian playwright , of Venice, and the weight of our culture in a key moment for the history of Europe, as the eighteenth century. Concerned that a demanding public and attacks such as Montréal, has been able to respond intelligently and with some humor that the film always leaves shine, thanks to "characters" Goldoni and the superlative performances of artists and actors who took part in the film. Success has also involved our Cultural Institute has organized a pleasant side-event, and the Consulate with a few meetings with the college students in the city.